Barium nitrate is the toxic, and water-soluble inorganic compound with the chemical formula Ba (NO3)2. It’s naturally a very rare mineral. Barium nitrate in India is manufactured by two processes, the first process involves dissolving barium carbonate in nitric acid, and allowing iron impurities to precipitate, after this the impurities are filtered, evaporated, and crystallized. The second process involves combining barium sulfide with nitric acid. It is used in the manufacturing process of barium oxide, and in vacuum tube industry and in green fire in pyrotechnics. Barium nitrate burns with a green flame and it’s an oxidizer. Barium nitrate is toxic by inhalation and may also cause irritation, itching, redness, and pain to the respiratory system. We offer the best Barium Nitrate in India. We are supplying Barium Nitrate to all parts of India. We are currently supplying to some of the leading companies in India and we give assurance to deliver our products to client’s destination within given time period. Pyrotechnic industry uses the Barium Nitrate for the production of "green fire" and green signal flares. Used in Primers and detonators. 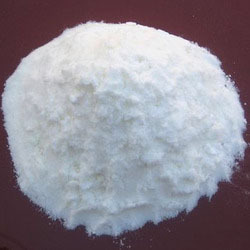 Used in the manufacture of Barium Peroxide. Used in the vacuum tube industry and also used in the manufacture other barium compounds. Packing: 25/50 Kg Polythene laminated H.D.P.E. bags.